Courtney McGovern joined Cavendish in 2017, and serves as Senior Vice President of Business Development. 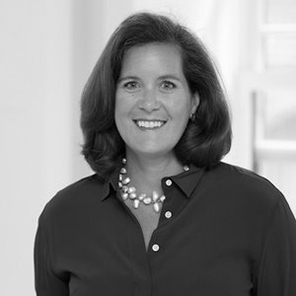 Ms. McGovern brings 20 years of diverse entrepreneurial and corporate experience in identifying and securing new business opportunities, establishing and launching new products, and managing complex contractual negotiations. Prior to joining Cavendish, Ms. McGovern established the Business Development practice for Google’s Media Platforms, coordinating cross-functional teams for product commercialization as well as architecting strategic relationships with Fortune 100 companies and suppliers. Ms. McGovern joined Google through two separate acquisitions - as Head of Sales at Teracent, Inc., acquired by Google in December 2009, and National Sales Director, DoubleClick, acquired by Google in 2007. She was also an early member of WiReD Ventures, 24/7 Media, and Dynamic Logic. Outside of work, Ms. McGovern serves on the Women’s Board of the Shirley Ryan Ability Lab (formerly the Rehabilitation Institute of Chicago) and has been active on the Guild Board of the Boys and Girls Club of Chicago, and MetroSquash. Ms. McGovern holds a B.A. in English from Colgate University. She currently lives in Chicago with her black lab, Drago.